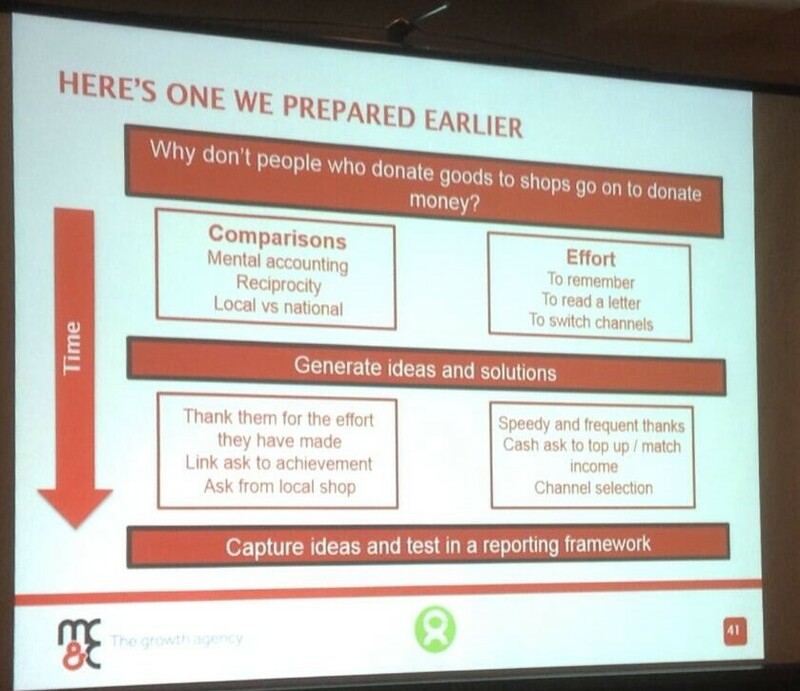 Day two of the Institute of Fundraising’s National Convention and this post is all about Behavioural Economics and what it means for fundraising. Paul Vanangs, Head of Public Fundraising at Oxfam, explained that it is any repeatable, mass consumer behaviour which cannot be explained by, or is contradictory to, classical economics. And as fundraisers, this is what is fascinating. Instead of asking ‘why do you not donate to us’ we should be asking ‘what barriers are stopping you from donating to us’. Christopher Nield, Creative Director at On Agency, shared how he worked with the NSPCC to incorporate legacy asks into any inbound call that was answered by the team. They drew on insights from a similar exercise, below, undertaken by the Cabinet’s ‘nudge unit’ which tested a legacy ask on Cooperative Legal Services will-writing customers. Many of our customers like to leave a charitable gift in their Will. Are there any causes you are passionate about? The second nudge had a response rate of 15.4% as opposed to 10.4% with the first. How did NSPCC use this? They created a Norm and Pasha mind map so that they could feel comfortable turning any call, even a complaint, into a legacy ask. So what impact did this have? The results were 101 conversations in the first week and a conversion rate of 46%. More interestingly, there were no complaints. So in one year, this could mean up to 5,252 conversations with 2,415 new leads. 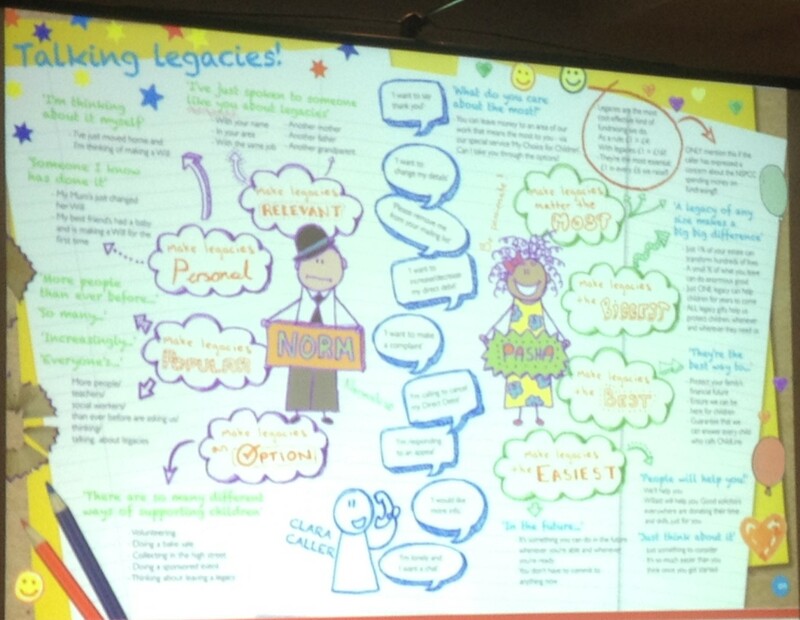 By involving the team in the mind map process, they are now confident to talk about legacies when appropriate. How can you change behaviours? 1. What comparisons are people making? 2. What efforts are involved? ← Did you hear the one about National Convention?